It’s time we forgot about the myth of Manchester. So many people come from towns where stormclouds gather and brew, where storeys of concrete tower and loom, where indiscretions and improprieties take place in the shadows. Lonelady – Julie Campbell from Hulme – has been slotted into her city so thoroughly, in both interviews and profiles, that the music she makes has almost been forgotten, vanishing into a vortex of associations and echoes, splattered with rain, wrapped up in long overcoats. Playing Nerve Up for the first time, I’d expected its rhythms and rhymes to be carved from Ian Curtis’ corpse at the very least; perhaps nuzzled with the fuzz of the Buzzcocks; or at least polished politely with the sheen of Sumner and Hook. In fact, the only Grim Up North flavours I could taste were the odd bursts of Ludus and a tiny hint of A Guy Called Gerald. Nerve Up often sounds a lot more American, as well as more female. That’s not to say you can’t spot its tics. Campbell’s first musical obsession was the early output of REM, and it shows. Building up her collection of albums week by week on cassette, Campbell spent her teenage years trying to unravel Michael Stipe’s lyrical myth-making, and the sense of mystery and menace that his group cultivated so well in their early career runs through this record, as do specific sounds. 'Intuition', 'Army' and 'Cattletears' could have fallen straight out of Murmur, their scratchy, just-out-of-tune guitars showing the same debts to Gang Of Four as REM’s debut album did. Peter Buck’s famous falling fourths descend proudly in the middle of 'Early The Haste Comes', while Campbell’s lyrics, most noticeably in the lovely 'Marble', are as incomprehensible and mystical as Stipe as his mistiest (I doubt she really sings, “Brace for the sun/And too bright groo/Said a ghost is more solid than that/Back tuggy beal”, but I can’t work out an alternative for love nor money). But despite this potential heavy-handedness, Nerve Up still arrives sounding fresh, urgent and vital. Like all the best acts who wear their references prominently, it’s what Campbell does with these inspirations that counts, what makes her stand out, which helps her float free. 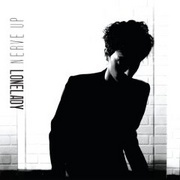 Nerve Up is an album that bristles with similarly liberated smartness and confidence – until it ends on the comparatively lush, zither-twinkled 'Fear No More', a denouement that sounds strangely twee after the spiky stuff that preceded it. But given further plays, even this curveball of a song grows, builds and charms, and its unique character emerges. Nerve Up in its entirety also works in this vein, if you give it the chance. At first, driven completely by the past’s short, sharp shocks, it soon leaves behind the shackles of the city in which it was made, and becomes its own perfect, peculiar creature.